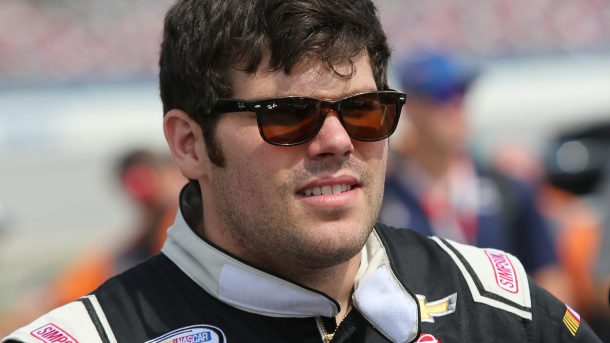 Early Thursday evening at Kansas Speedway in the 2016 NASCAR Camping World Truck Series (NCWTS), John Wes Townley – with a lap speed of 176.980 MPH – showed the fastest way around the track in the final Toyota Tundra 250 practice session. Spencer Gallagher was second fastest in the session with a lap speed of 176.748 MPH, and he was followed by Cameron Hayley (176.702 MPH) who was third, Tyler Reddick (176.448) fourth and Matt Crafton (176.269) was fifth. 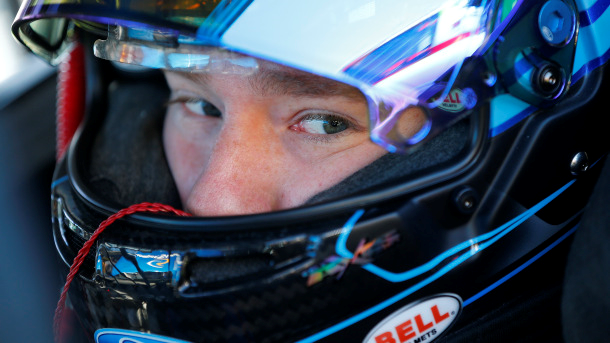 Rounding out the top-10 fastest drivers in the “Happy Hour” (final) practice were series Rookie of the Year (ROTY) contender, Christopher Bell (176.246 MPH) who was sixth, Johnny Sauter (176.148) seventh, Daniel Hemric (176.062) eighth, John Hunter Nemechek (175.959) ninth and ROTY contender Ben Rhodes (175.924) posting the 10th-fastest lap speed. At 4:30 p.m. (ET) on FOX Sports 1 Friday afternoon, the series will have their qualifying session to determine the starting lineup for that evening’s race. The 16th annual Toyota Tundra 250 is scheduled to get underway around 8:50 p.m. (ET) Friday night on FOX Sports 1. 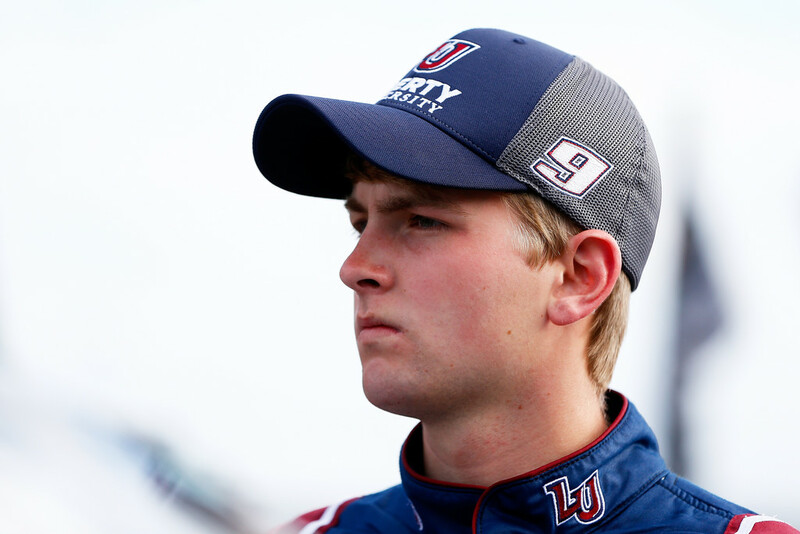 2016 NASCAR Camping World Truck Series (NCWTS) Rookie of the Year (ROTY) contender, William Byron – with a lap speed of 176.650 MPH – was the quickest late Thursday afternoon during the second Toyota Tundra 250 practice session at Kansas Speedway. Second quickest with a lap speed of 176.621 MPH was John Wes Townley, and he was followed by Matt Crafton (176.401 MPH) who was third, Daniel Hemric (176.252) fourth and series Rookie of the Year (ROTY) contender, Ben Rhodes (175.833) was fifth. Rounding out the top-10 quickest drivers in the session were Johnny Sauter (175.718 mph) who was sixth, Tyler Reddick (175.673) seventh, Spencer Gallagher (175.667) eighth, and ROTY contenders Cole Custer (175.661) and Christopher Bell (175.564) were recorded ninth and 10th-quickest respectively. “Happy Hour” (final) practice for the teams will be from 6:30 p.m. – 7:55 p.m. (ET) No TV this evening. 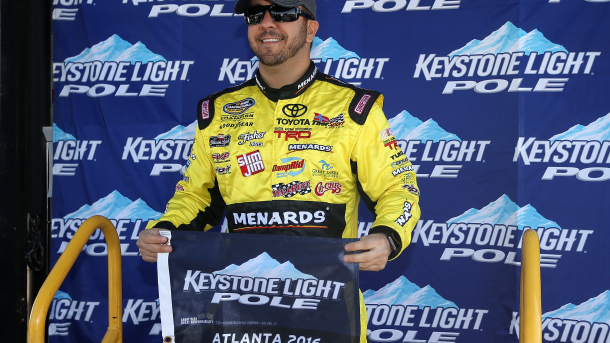 The 16th annual Toyota Tundra 250 is scheduled to get underway around 8:50 p.m. (ET) Friday night onFOX Sports 1. 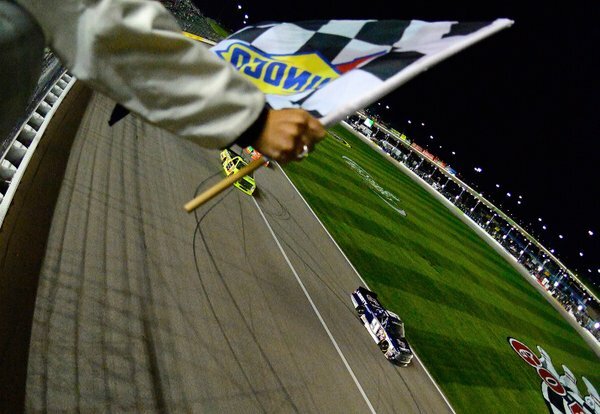 The 2016 NASCAR Camping World Truck Series (NCWTS) returns to action Friday night, and they held their first (of three) practice session Thursday afternoon for the Toyota Tundra 250 at Kansas Speedway. Posting the fastest lap of the session was Tyler Reddick with a lap speed of 176.137 MPH, and he was followed by Matt Crafton (175.976 MPH) who was second, Matt Tifft (175.541) third, John Wes Townley (175.473) fourth and series Rookie of the Year (ROTY) candidate, Ben Rhodes (175.444) was fifth. Rounding out the top-10 fastest drivers in the session were Johnny Sauter (175.103 MPH) who was sixth, Spencer Gallagher (175.046) seventh, ROTY candidate Christopher Bell (174.876) eighth, Cameron Hayley (174.814) ninth and ROTY candidate William Byron (174.639) posting the 10th-fastest lap speed. The teams will have two more sessions today with the next session running from 4:30 p.m. – 5:25 p.m. (ET) No TV coverage, and then their “Happy Hour” (final) practice from 6:30 p.m. – 7:55 p.m. (ET) No TV coverage this evening. At 4;30 p.m. (ET) on FOX Sports 1 Friday afternoon, the series will have their qualifying session to determine the starting lineup for that evening’s race. 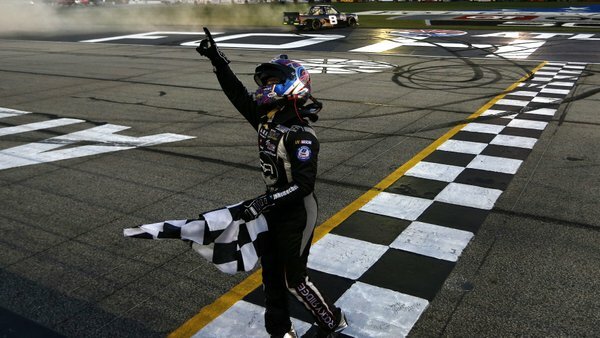 Early Saturday evening at Atlanta Motor Speedway (AMS) in the NASCAR Camping World Truck Series (NCWTS), it was John Hunter Nemechek holding off Cameron Hayley (by 0.305 seconds) to win the 2016 Great Clips 200. This was Nemechek’s first series win and first top-10 finish of the season, his second series career win in 32 races and his first series win in one race at AMS. Following Nemechek and Hayley to the drop of the checkered flag were Timothy Peters finishing third, Daniel Hemric fourth and series Rookie of the Year (ROTY) candidate, Grant Enfinger finished fifth. 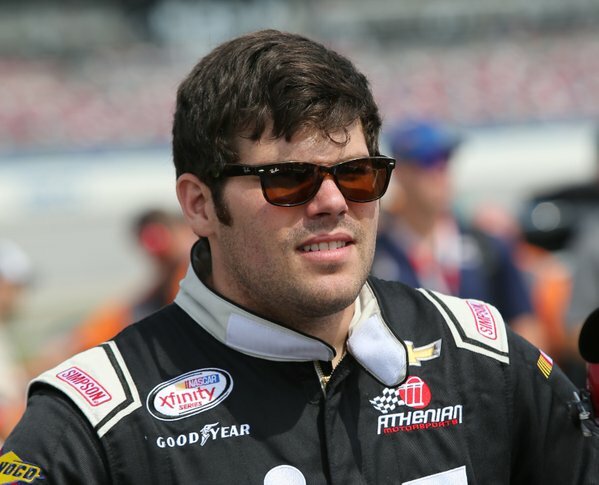 Series ROTY candidate, Ben Rhodes, brought home sixth-place, while John Wes Townley finished seventh, Parker Kligerman eighth, Caleb Holman ninth and Spencer Gallagher rounding out the top-10 finishing positions. With his eighth-place finish, Parker Kligerman leads the point standings and leaves Atlanta with a 1-point lead over Daniel Hemric. Time of Race: 01 Hrs, 39 Mins, 09 Secs. Up Next: The series won’t return to action until the Alpha Energy Solutions 250 at Martinsville Speedway on Saturday, April 2nd, starting time of 2:50 p.m. (ET) and television coverage provided by FOX Sports 1.